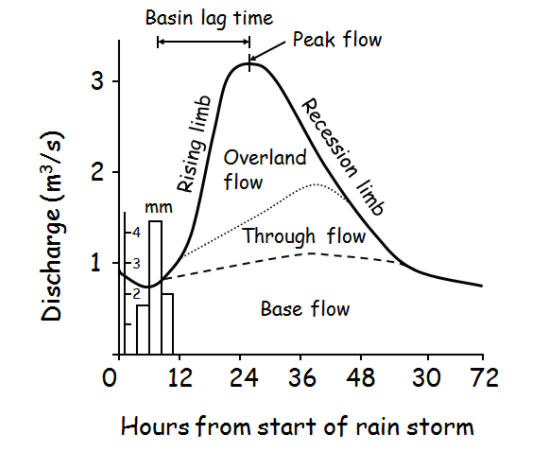 Factors affecting river regimes: precipitation including storm hydrographs, temperature, vegetation, land-use, water abstraction, dams. 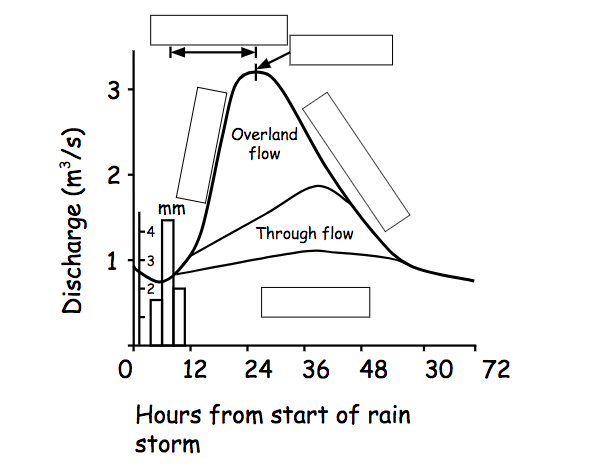 A storm hydrograph is a special kind of graph which shows how the discharge of a stream or river changes after a period of rainfall. Understand how factors like vegetation, land use, water abstraction and dams can affect the hydrograph of a river.